A reminder that submissions for the ISCB Africa ASBCB 2013 Conference on Bioinformatics are now being accepted. This is the third joint meeting of ISCB and ASBCB, and takes place from March 13th -15th in Tunis, Tunisia. The meeting will include topics of general interest in bioinformatics, with a special focus on the bioinformatics of African pathogens, vectors, and human genetics. We especially welcome abstracts on the bioinformatics of diseases relevant to Africa, and with the new Human Heredity and Health in Africa (H3Africa) initiative the genetics focus is particularly relevant and timely. Submissions of papers are due by October 24th, and poster abstracts are due by December 12th. Please visit the conference submission guidelines and follow the links to submit your paper or poster today. Pre-conference optional events are planned for March 11th and 12th, including a variety of Training Workshops and Tutorials such as EBI Roadshow training, EMBnet eBioKit workshops, LIRMM and EMBL instructor-led introduction to Phylogeny, and a full day session on deep sequencing. For more details on these events please check the conference website frequently to watch for updates as they become available. A limited number of travel fellowships will be made available to students from African research institutions. Additionally, a grant proposal has been submitted to a U.S. agency that, if awarded, would help fund American students to attend. Information on eligibility and application procedures will be posted to the conference website as soon as full details are known. Early registration will be offered at discounted prices, and all ISCB and ASBCB members will enjoy significant savings. 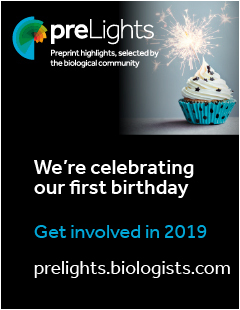 Don't delay in submitting your paper or poster (or both!) today. We hope to welcome you to Tunisia in March! JDG Associates has been retained by the International Society for Computational Biology to conduct the search for its Executive Officer position. Founded in 1997, the International Society for Computational Biology (ISCB) is a scholarly society dedicated to advancing the scientific understanding of living systems through computation. The ISCB communicates the significance of the science to the larger scientific community, governments and the public at large. Representing over 3000 members in over 70 countries, ISCB works to impact government and scientific policies, provide high quality publications and meetings, and distribute valuable information about training, education and employment in the field. ISCB is a growing scientific society in a growing scientific field. A member of the Federation of American Societies for Experimental Biology (FASEB) community, ISCB has a $2M annual budget, a staff of three, and a contingent of contractors. For more information please visit www.iscb.org. Reporting to the President, the Executive Officer is responsible for efficiently and effectively running the day-to-day operations of the Society and implementing the strategic initiatives and policy decisions of the Executive Committee (EC) and the Board. The EO also provides professional management services and continuity; supports the Society’s elected and appointed volunteer leadership; liaises among staff, leadership, and members; monitors Society activities; provides a record of institutional memory; and directs the administration of the Society. Advise EC and Board on non-profit best practices; adherence to Articles of Incorporation, bylaws, and other governing documents; and any needed changes to governing documents. Provide organizational and administrative support to the EC and to the Board, including logistical arrangements when appropriate, meeting agenda, appropriate documentation and drafting meeting minutes for approval. Work with the EC to develop and execute a strategic, long term plan for a sustainable society. Work with organizing committees and other stakeholders on financial planning, scheduling and logistics of all meetings. Provide data and analysis to assist the board in selecting meeting venues. Facilitate communications among the EC, the Board, SIGs, standing committees and task forces, and affiliates to achieve goals in addition to encouraging those groups be more productive and effective. Using various marketing strategies, manage the membership recruitment and retention process including creating new programs that will enhance member value proposition. Work with the EC and the Director of Corporate Relations and Development to produce and execute a development strategy. Secure Federal grants, administer the funds, and fulfill reporting requirements. Develop a social media plan utilizing appropriate platforms. Work with EC, accountant and Treasurer to prepare the annual budget and annual audit. Ensure the Board is fully informed on the financial state of the organization, including provision of quarterly financial reports. Bachelor’s degree is required; an advanced degree is preferred; an advanced degree in a scientific field relevant to the Society is a plus. Senior management experience in a professional society with experience in the areas of meetings, membership, publications, fundraising, marketing, outreach, and board governance/support is required. Experience with international scientific, engineering or medical societies is preferred. Must be an effective verbal and written communicator and able to give presentations to a diverse range of audiences. Negotiation, conflict resolution, problem solving and strategic thinking skills are essential as are strong financial management and budgeting skills. Travel up to 20%, including international. Early registration closes on Friday, October 12th, for the fifth annual RECOMB Satellite Conference on Regulatory and Systems Genomics, with DREAM Challenges. Register now to take advantage of reduced registration rates. We are happy to announce that the conference agenda is now available online. Any changes to the program between now and the conference will be made a quickly as possible. Over four days, the meeting will feature 15 keynote talks, additional lectures, poster sessions, and discussion of the results of this year's Dialogue for Reverse Engineering Assessments and Methods (DREAM), a project designed to identify best practices for predicting the structure of biological networks. Best performers from this year's DREAM challenges will have an opportunity to present their methods. For more information about the conference, please visit the conference website. We look forward to seeing you in the Bay Area! CALL FOR ANNUAL AWARDS NOMINATIONS! ISCB's annual awards are the most prestigious international awards designated exclusively to researchers in the field of computational biology/bioinformatics, and you are invited to submit nominations for the 2013 Overton Prize and the 2013 Accomplishment by a Senior Scientist Award. The Overton Prize is awarded to an early career scientist, generally within ten years post-degree, and the Accomplishment by a Senior Scientist Award is in recognition of highly significant, long-term career achievement. The winners of both awards will deliver keynote talks at ISCB's annual meeting, ISMB/ECCB 2013, in Berlin, Germany. Nominations from all regions of the world are encouraged, and the selection of award winners will be made by an international panel of current and past members of the ISCB Board of Directors. The nomination form, list of past winners with links to their bios, and a link to the full policies and procedures of these ISCB awards, are all accessed at the above URL. Please consider nominating your highly accomplished peers and senior researchers who have helped to advance our field in significant and meaningful ways, and then proceed to the nomination form to ensure they are considered for these prestigious awards. 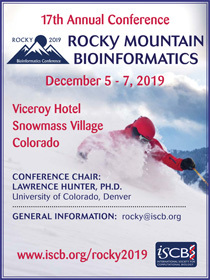 The 10th Annual Rocky Mountain Bioinformatics Conference is now less than two months away. Over the last decade this conference series has grown into an international program with a spotlight on regional development in the computational biosciences. Invited and accepted presenters represent a broad spectrum of universities, industrial enterprises, government laboratories, and medical libraries from around the world. The meeting is a chance to get to know your colleagues near and far, seek collaborative opportunities, and find synergies that can drive our field forward. EARLY REGISTRATION DATE IS APPROACHING: Be sure to take advantage of early registration rates while they last. 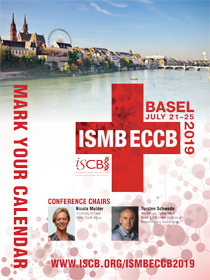 If you are not a current member consider joining ISCB now for immediate additional savings on your conference registration to this and any other ISCB conference. Please note that accepted presenters must register at applicable conference attendee rates by November 6 in order to give a presentation at Rocky 2012. ACCOMMODATIONS SELLING OUT: The conference has moved to the new Viceroy Snowmass Hotel this year. A special group rate has been negotiated for Rocky 2012 attendees: $105 single or $140 double occupancy, plus tax. As rooms are booking up fast be sure to book yours before these special rates are no longer accessible. You must enter the group code of Rocky2012 to secure rooms at the special rate (if linking to the online hotel booking form from the conference website, double check that the correct code auto fills - if it fills as ISCB2012 please manually correct it as that code is an error and may not result in presenting the deeply discounted group rate). Until November 8th the Rocky conference offers a special Academic Retreat package for groups attending from the same lab or school, including a free student registration. Forward this invitation to your colleagues and collaborators and come for a lab retreat in addition to attending for the great science and networking. Learn about the activities and impact of the NIH Common Fund’s National Centers for Biomedical Computing (NCBC) at a meeting on November 8-9, 2012 in the Natcher Conference Center (Building 45), Ruth L. Kirschtein Auditorium. The meeting will be opened by Dr. Francis Collins. In addition Dr. James Anderson will present opening remarks about the NIH Common Fund. Registration is not required; see http://meetings.nigms.nih.gov/meetings/ncbc/ for an agenda and details. Please share this information with colleagues who may be interested in attending. Program Summary: The National Centers for Biomedical Computing (NCBCs) are intended to be part of the national infrastructure in Biomedical Informatics and Computational Biology. The consortium portal is www.ncbcs.org. There are eight Centers that cover biophysical modeling, biomedical ontologies, information integration, tools for gene-phenotype and disease analysis, systems biology, image analysis, and health information modeling and analysis. 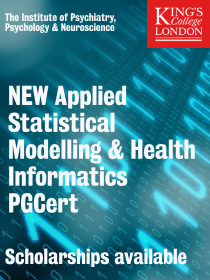 The centers create innovative software programs and other tools that enable the biomedical community to integrate, analyze, model, simulate, and share data on human health and disease. Each Center has Cores that are focused on (i) biomedical computational science and (ii) driving biological projects (DBPs) with the intent to drive the interaction between computational and biomedical computational science. There are numerous efforts in education and training that emanate from the Centers and there is an annual all hands meeting. In addition to the Centers, the NIH and other government agencies have a number of funding announcements that are summarized in the Biomedical Information Science and Technology Initiative (BISTI) Funding Page. This also includes a program for Collaborations with National Centers for Biomedical Computing. Under the collaborations program, over the course of the program 225 applications for funding have been reviewed at NIH and 33 have been awarded. This meeting is the culmination of the Year of Outreach which has so far included a special session at the Intelligent Systems for Molecular Biology (ISMB) meeting 2012 in Long Beach on July 16 that focused on NCBC accomplishments. In addition, a set of special articles was published in the Journal of the American Medical Informatics Association (JAMIA). The main goal of the meeting is to showcase not only the research, training, and outreach in biocomputational science but also highlight the impact that the program has on other researchers and users. The impact of this meeting is expected to be the lasting connections that are built up between programs in biomedical computing and computational biology at NIH. Unfortunately, we cannot provide travel funds for this meeting. The meeting will not be videocast. As many of you may be aware, the U.S. House of Representatives has recently been presented with a bill called the Research Works Act (HR 3699) that threatens the current U.S. requirements of public access to federally funded research results. ISCB strongly opposes this bill. Burkhard Rost, ISCB President, and Richard Lathrop, ISCB Public Affairs & Policies Committee Chair, are drafting a letter to the bill's authors that expresses our opposition and emphasizes the importance of the ISCB Public Policy Statement on Open Access to Scientific and Technical Research Literature that was released in 2010. If you are a member of ISCB and have not yet signed on to our statement, you are invited to do so at your earliest opportunity via the link to current signatories on the policy page noted above. 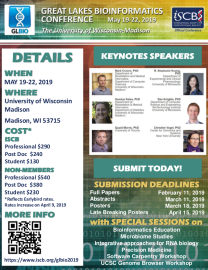 We encourage you to take advantage of discounted registration pricing while it lasts for the The Great Lakes Bioinformatics Conference, taking place May 15-17 in Ann Arbor, Michigan. With submitted oral and poster presentations recently decided and planned for posting to the conference website soon, this year's event is developing into a very robust meeting. Topic areas include Algorithm Development and Machine Learning, Bioimaging, Databases and Ontologies, Disease Models and Epidemiology, Evolution and Comparative Genomics, Gene Regulation and Transcriptomics, Metagenomics, Mass Spectrometry and Proteomics, Population Genomics, Protein Interactions and Molecular Networks, Protein Structure and Function, Sequence Analysis, and Text Mining. Nearly 30 (yes, 30!) corporations and universities within the Great Lakes region have signed on as conference sponsors, which is sure to contribute to a diverse exhibition and exceptional exchange of opportunities and collaborations for all attendees. Be sure to register today and we will look forward to welcoming you to Ann Arbor in May!